The Council for International Organizations of Medical Sciences (CIOMS) announces the publication of Evidence Synthesis and Meta-Analysis for Drug Safety: Report of CIOMS Working Group X. At any point in the drug development process, systematic reviews and meta-analysis can provide important information to guide the future path of the development programme and any actions that might be needed in the post-marketing setting. This report gives the rationale for why and when a meta-analysis should be considered, all in the context of regulatory decision-making, and the tasks, data collection, and analyses that need to be carried out to inform those decisions. There is increasing demand by decision-makers in health care, the biopharmaceutical industry, and society at large to have access to the best available evidence on benefits and risks of medicinal products. The best strategy will take an overview of all the evidence and where it is possible and sensible, combine the evidence and summarize the results. For efficacy, the outcomes generally use the same or very similar predefined events for each of the trials to be included. Most regulatory guidance and many Cochrane Collaboration reviews have usually given more attention to assessment of benefits, while issues around combining evidence on harms have not been as well-covered. However, the (inevitably) unplanned nature of the data on safety makes the process more difficult. Combining evidence on adverse events (AEs), where these were not the focus of the original studies, is more challenging than combining evidence on pre-specified benefits. This focus on AEs represents the main contribution of the current CIOMS X report. 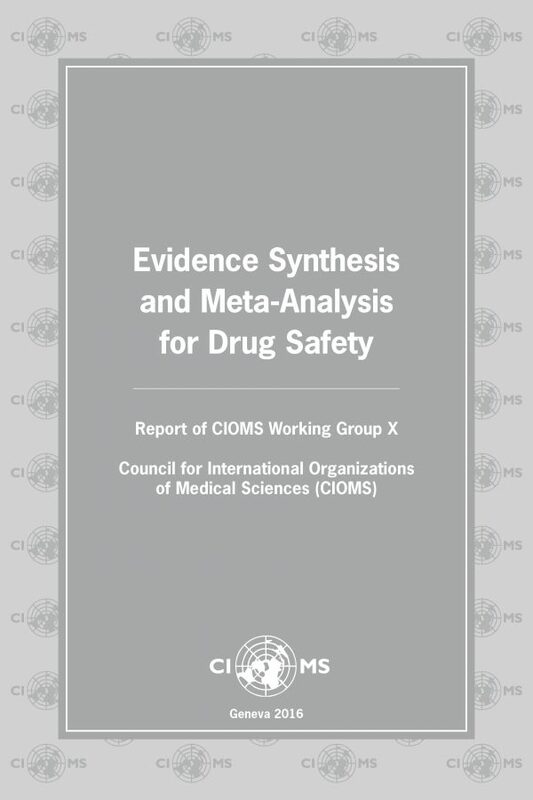 The goal of the CIOMS X report is to provide principles on appropriate application of meta-analysis in assessing safety of pharmaceutical products to inform regulatory decision-making. 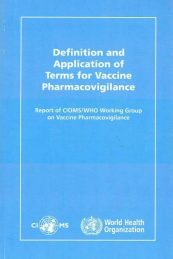 This report is about meta-analysis in this narrow area, but the present report should also provide conceptually helpful points to consider for a wider range of applications, such as vaccines, medical devices, veterinary medicines or even products that are combinations of medicinal products and medical devices. 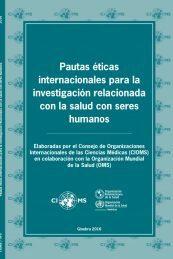 Although some of the content of this report describes highly technical statistical concepts and methods (in particular Chapter 4), the ambition of the working group has been to make it comprehensible to non-statisticians for its use in clinical epidemiology and regulatory science. 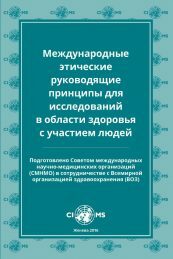 To that end, Chapters 3 and 4, which contain the main technical statistical aspects of the appropriate design, analysis and reporting of a meta-analysis of safety data are followed by Chapter 5 with a thought process for evaluating the findings of a meta-analysis and how to communicate these. 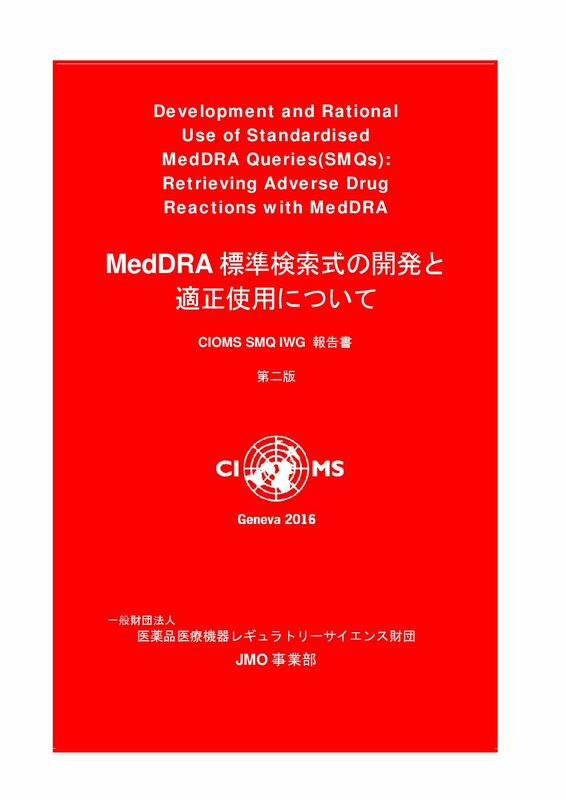 Evidence Synthesis and Meta-Analysis: Report of CIOMS Working Group X. Geneva, Switzerland: Council for International Organizations of Medical Sciences (CIOMS), 2016.